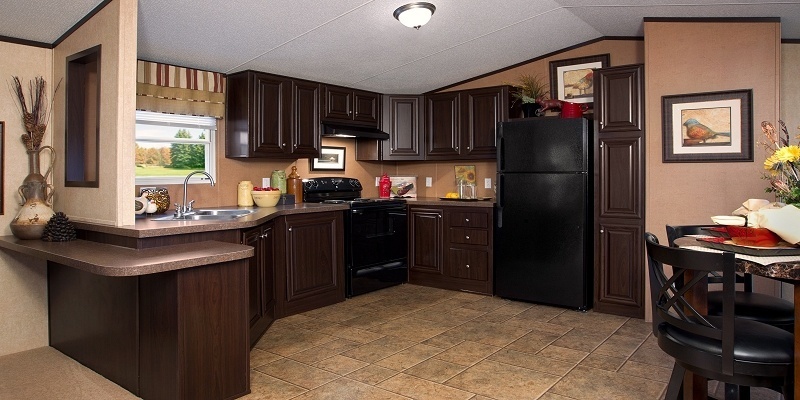 When buying a manufactured home, finding a high-quality structure that’s both built to last and within your budget can be a little like finding a needle in a haystack. Here at Home Nation, we understand just how important it is to you to invest in a durable, comfortable, and affordable manufactured home. If you’ve been searching for a new or used double wide and have been disappointed with the quality or price of the models you’ve seen so far. 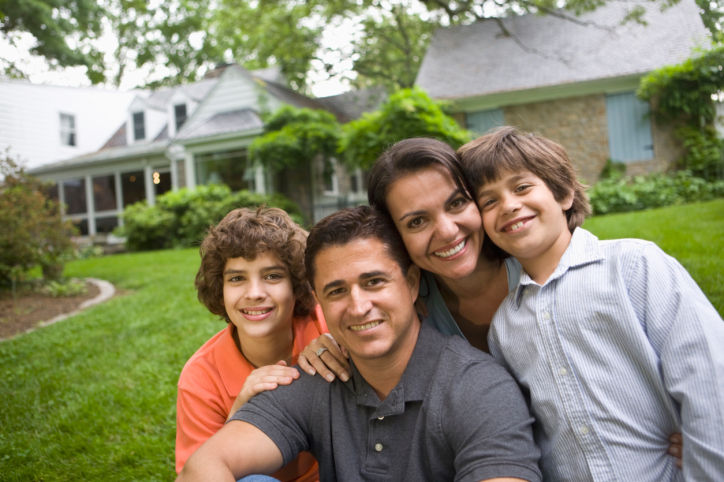 Call us today to discuss your options and find the perfect home for you and your family. What is a Double Wide? A Double Wide is a type of manufactured home, also referred to as a mobile home, that consists of two separate units. These units are pre-constructed in a factory and are then joined together once they arrive onsite. Most double wides are at least 20 feet wide, but many are as wide as 28 to 32 feet. The length of your new double wide can also vary and will depend on your needs and budget. Although a double wide can be as long as 90 feet, our models typically range from 44 to 76 feet in length to offer you the best mix of functionality and practicality. What's the difference between a Double Wide and Single Wide? What's the difference between a Manufactured home and a Stick Built home? 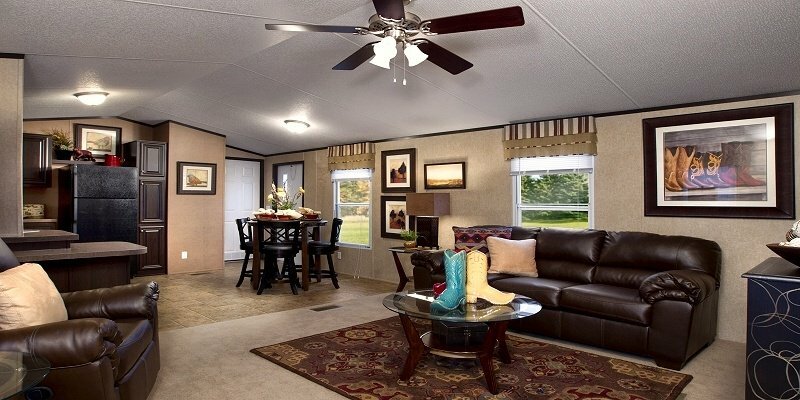 One of the most common questions we get about double wides is, “What makes a manufactured home different from a stick-built home?” The primary difference between the two is that manufactured homes are built in a factory and then transported to your lot. Site-built or “stick-built” homes are constructed directly onsite. 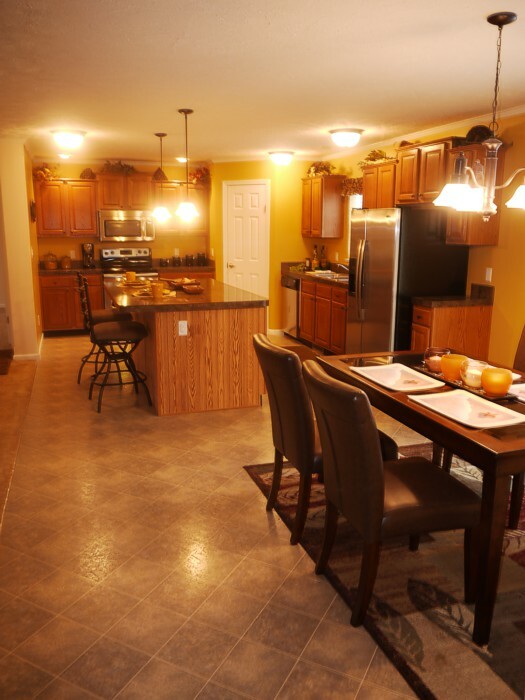 Because they are built in a factory setting, manufactured homes come along with a wide range of benefits. For one, they are cheaper to build and are therefore typically more affordable than traditional stick-built homes. Secondly, manufactured homes are not subjected to the elements such as rain, snow, and ice while they are being built, unlike conventional site-built homes. Finally, manufactured homes like single wides and double wides are moveable, which is one of the many reasons why people choose manufactured homes over a conventional build. It’s also important to note that, unlike the mobile homes of the past, today’s manufactured homes are built to conform to the national Housing and Urban Development (HUD) code and are inspected, although they do not necessarily have to comply with local building codes. If you’re looking for a great mix of affordability and comfort, buying a double wide might make the most sense for you. How much does a Double Wide cost? One of the main draws of buying a double wide is the affordability. double wides can range in price, depending on their size, options, and the dealer. At Home Nation, we work hard to deliver our manufactured homes as inexpensively as possible without sacrificing quality and durability. Additionally, we are very transparent about the costs of our double wides and other home options. Unlike other double wide dealers, we publish the cost of all of our homes online and always offer factory-direct pricing. When on a listing, just click “Select Options” to see the price of your home with all the extras. There, you can get an estimate on the base model, options, and shipping to your location, giving you an approximate estimate of the FINAL cost to get your home, so you never have to worry about hidden fees or costs. Home Nation offers both new and used double wides. The right choice for you will largely depend on what’re looking for and your budget. While buying a used double wide can often be very cost-effective, know that you may be able to afford a brand new model when shopping with Home Nation. In addition, we offer financing options to help you get a loan from the bank, so your dream home could be within reach! Another common misconception about double wides is that you can’t customize them. This, however, couldn’t be farther from the truth. When you buy a new double wide from Home Nation, you’ll have lots of options to choose from to make your home truly yours. You can choose the colors of both the interior and exterior of your new home, for example, as well as your floor plan and flooring types. You can even add on extras to your home, including a built-in microwave, wood-burning fireplace, Whirlpool garden tub, ceramic tile countertops, nine-foot-high ceilings, factory-constructed porches, and more! Home Nation is a family-owned business dedicated to delivering high-quality AND affordable homes to families all across the country. We are based out of Goshen, Indiana, but also have four additional locations across the country and are continuing to expand to better serve our nation-wide customers. When you shop with Home Nation, you're not just buying a mobile home—you're also buying our excellent customer service. We can help you design, order, set, and even finance your new home. At the end of the day, we’re on a mission to provide you a home that you absolutely love at an affordable price. If you’d like to learn more about Home Nation or would like more information about how to get started designing the perfect house for you and your family to call home, give us a call today at 1-877-50-HOMES!